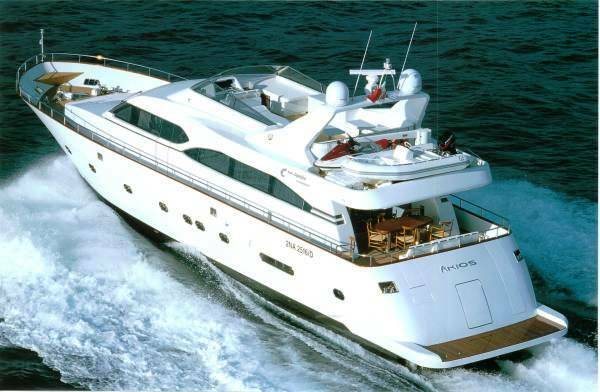 Motor yacht AKIOS I is a TIGULLIO 27 measuring 27,00m (or 88' 6"). 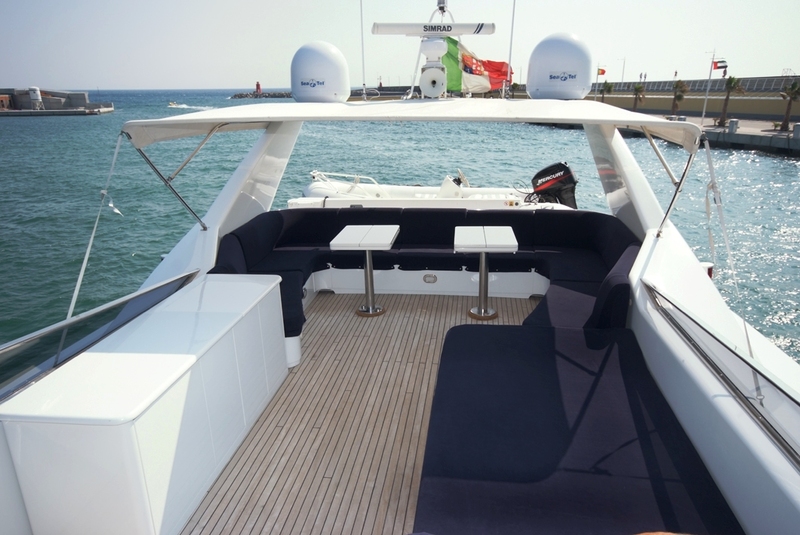 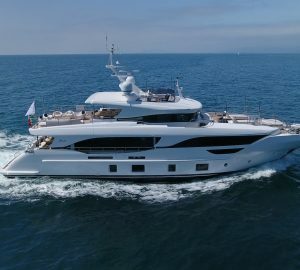 The charter yacht can accommodate up to 8 guests in 4 comfortable cabins and charters throughout the Western Mediterranean accompanied by a crew of 3. 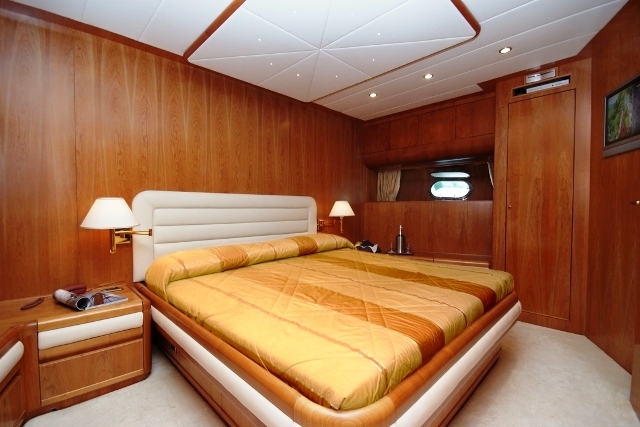 The TIGULLIO 27 motor yacht AKIOS I is entirely made from luxury woods on Stefano Righini's excellent design. 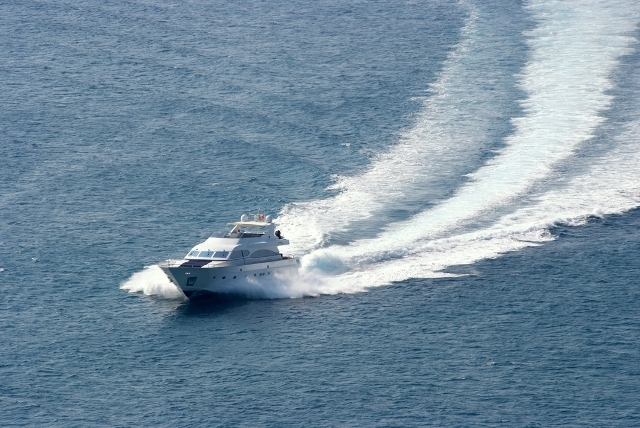 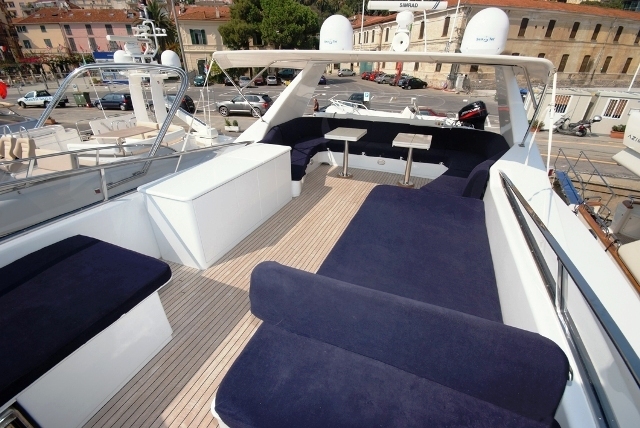 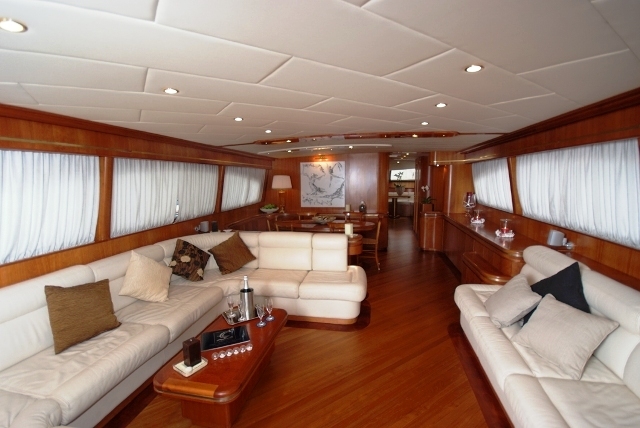 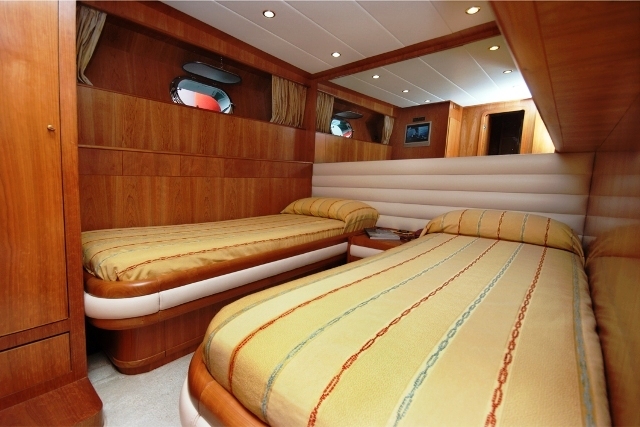 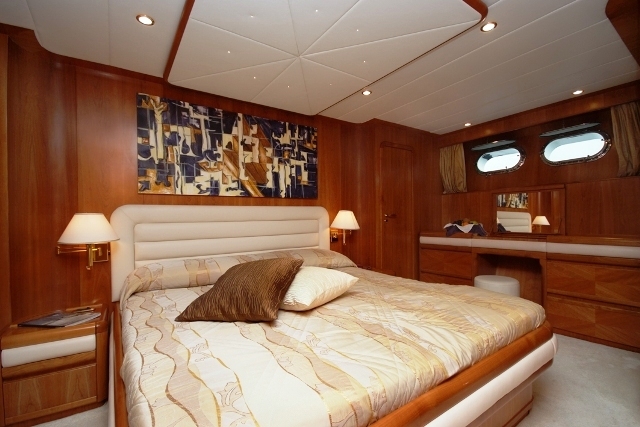 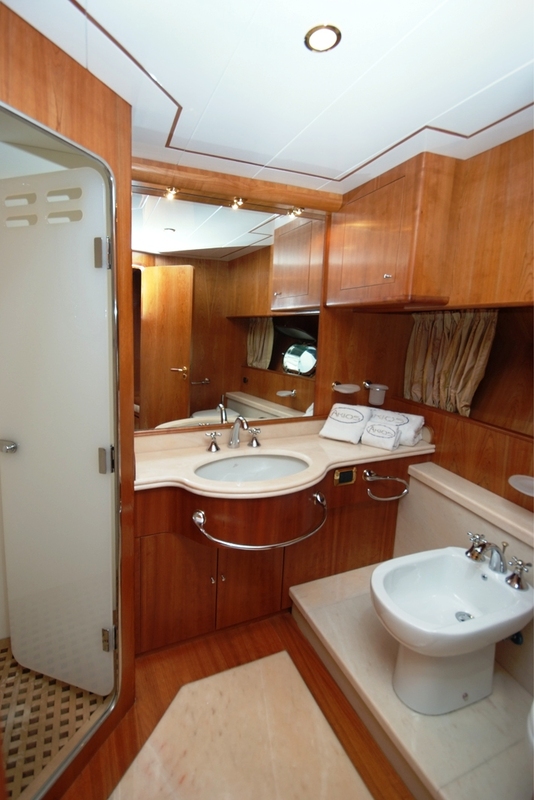 M/Y AKOS I’s layout is slender and aggressive and can attain speed of 22 - 29 knots. 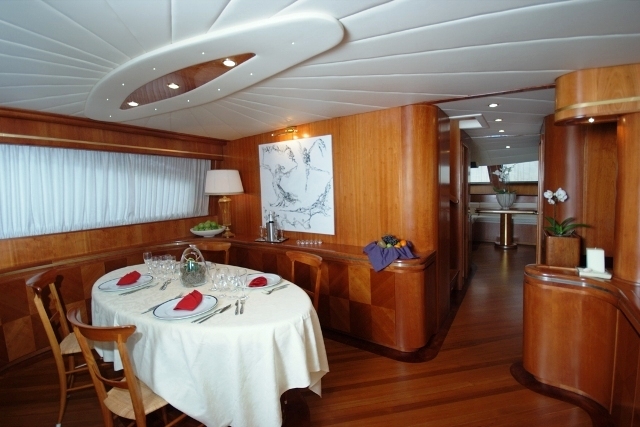 The charter yacht AKIOS I has a stylish lounge with comfortable white leather sofa where you can relax comfortably and a dining table where you can enjoy the specialties your private chef. 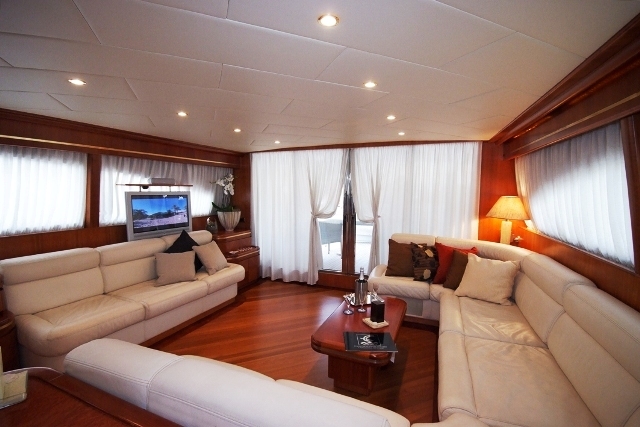 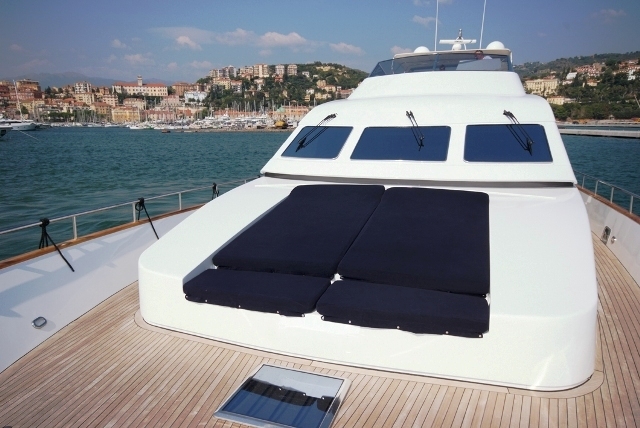 Motor yacht AKIOS I offers accommodation for 8 guests in 4 comfortable cabins including a master cabin with double bed, a VIP cabin and 2 twin cabins all with en suite facilities. 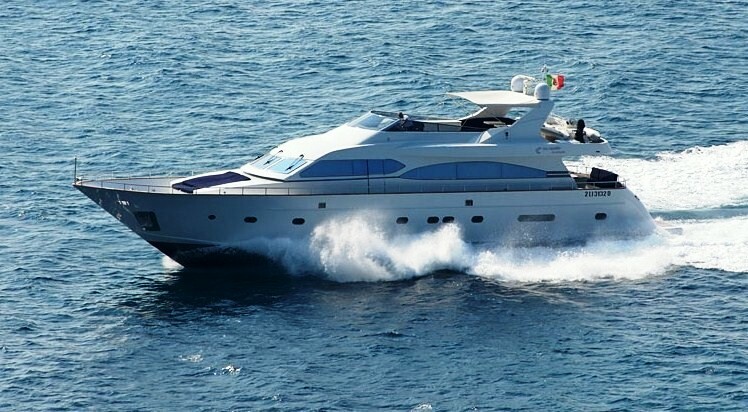 M/Y AKIOS I has a crew of 3 and is based in Imperia close to Genoa which is an ideal base to cruise to France, Corsica, Sardinia and the Liguria coast. 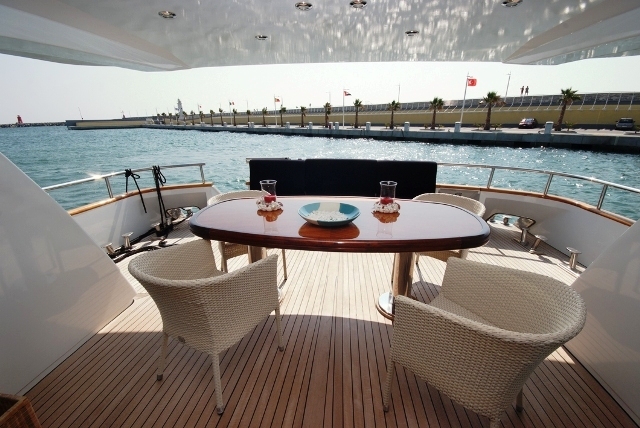 Charter yacht AKIOS I has a Zodiac tender with 40hp engine. 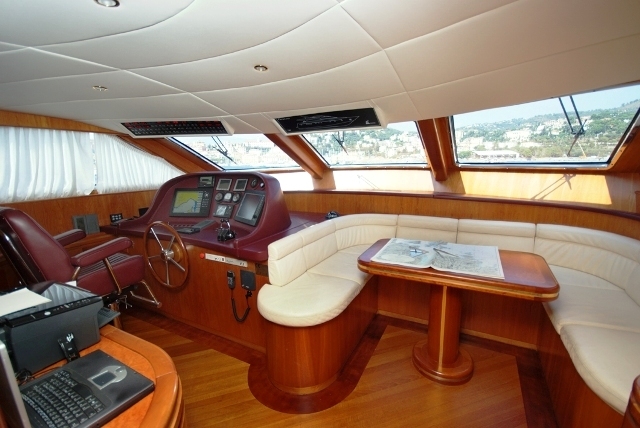 She also has a TV, Stereo, Radar, VHF, Plotter, GPS, Echo sounder, and a Simrad intercom telephone system to all cabins.